Fry the garlic in olive oil and add the crushed tomatoes, Italian seasoning, red pepper flakes, salt, pepper, water & sugar. Simmer slowly for 20-25 minutes. Wisk in the heavy cream. The sauce will lighten up and get a little thicker. 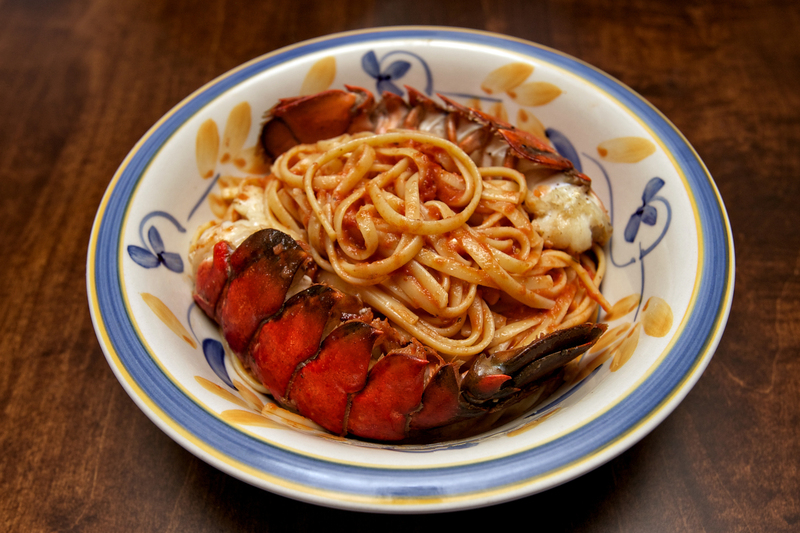 Add the sauce to the cooked linguini and top with lobster tails. Grated cheese on top is a must. Super easy! Can be made with shrimp too. Enjoy! I wish I could eat Lobster, because this looks so good. I can almost smell the sauce and I love cream in my tomato sauce as well. No lobster for me either! But the linguini looks great!